Acura car tuning tips and advice. It is only fitting that we feature some tuning tips for Honda's premier brand. 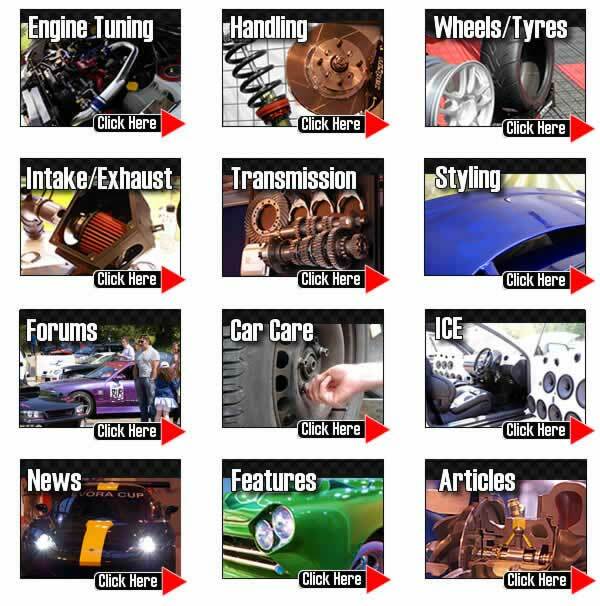 We have a wide range of tuning articles covering all models of Acura from smaller engined family cars to large engined executive cars and SUV's. Please join the forum for model specific questions and answers and to meet other owners and see what modifications they have done. We are currently one of the fastest growing car tuning clubs around covering the Accura range and are certainly one of the friendliest. Read our latest and frequently updated Acura tuning features. We strongly recommend that you join our Acura forums where you can swap engine tuning ideas with like minded Acura owners in our various technical forums. We love to hear what our readers have done to their Accuras, so drop into the forum, post up a new thread or pass on your tips, we love to see members car pictures and have an ever growing gallery. Scroll down the page to see our latest tuning articles for your Acura. High performance sports exhausts systems. TorqueCars will review sports exhausts and exhuast design as they are very popular modifications, but sadly many mistakes are made. The job of the exhaust is to break up the sound pulse from the engine, muffling the sound and allowing the exhaust gases to escape efficiently. We look at how spoilers work? We also explain the difference between a spoiler and a wing. Spoilers are generally closer to the body of the car and help diffuse the air.